“The stone of royalty, the sapphire, come in a vibrant blue that can be matched with flowers like anemones, delphinium, or orchids. 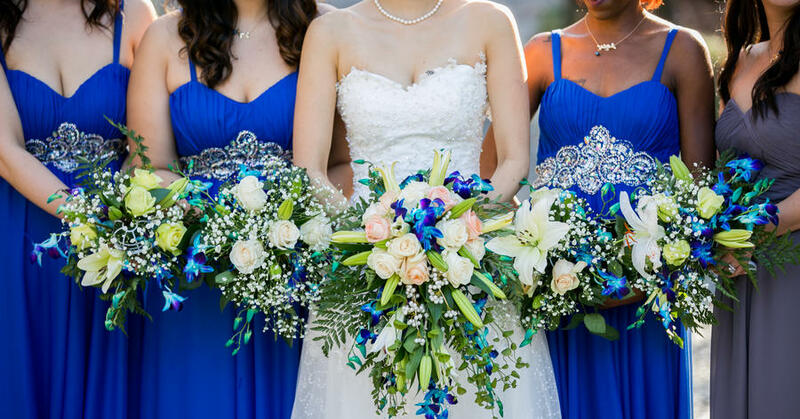 If you don’t want an all-blue bouquet, tuck a few blue blooms in an all-white arrangement for a vibrant contrast—which can also double as your ‘something blue’,” suggests Danielle Gonzalez of Blooms by the Box. 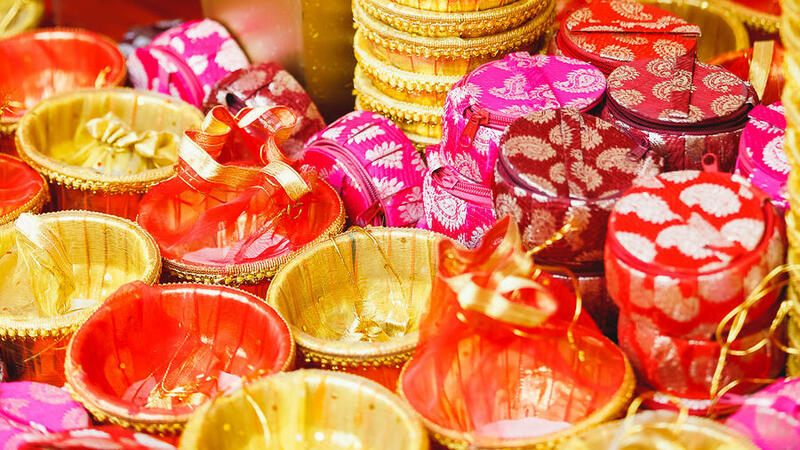 “Indian weddings are well known for bright color palettes, making them the perfect occasions to let jewel tones really shine. 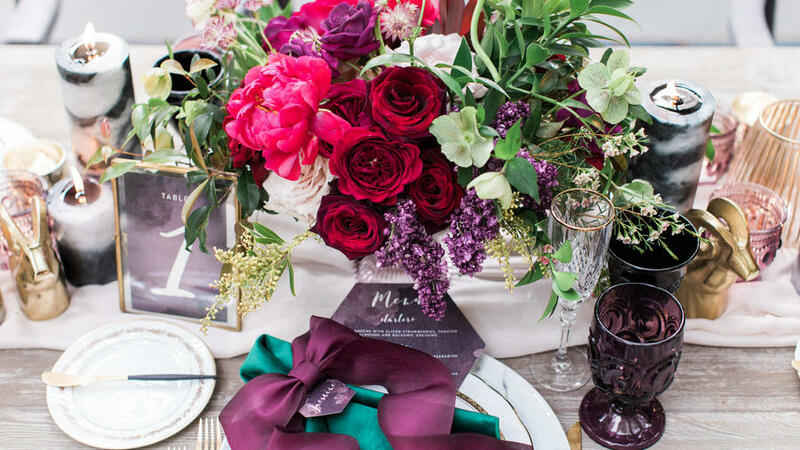 This gift display was the perfect opportunity to bring in the bold hues from the wedding, especially with the bangles and gift boxes, both of which were shipped from India,” says Trish Brinkley of The Occasionalist. "Current dessert trends are shying away from butter and cream-based desserts, and moving towards fresher and lighter dishes. 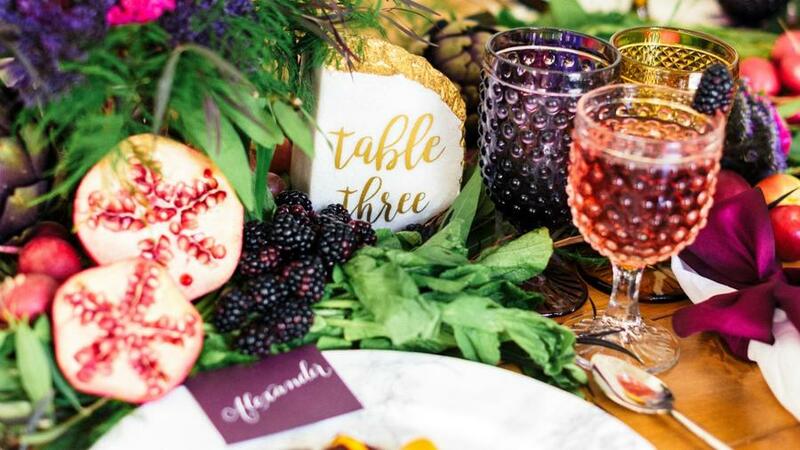 This jewel-tone inspired plate is a broken down version of a classic dessert—chocolate cake and berries—with the berries displayed cut in half to add to the visual appeal of the dish,” explains Matthew Antoun of Modern Art Catering. 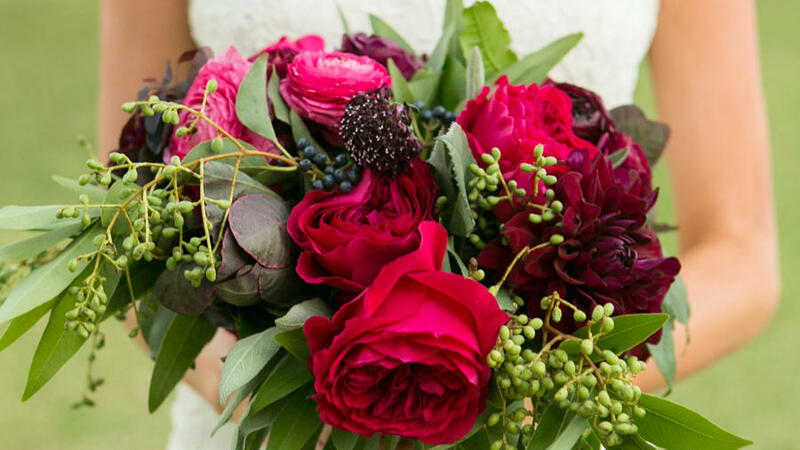 "With a jewel-tone color palette, your floral options are endless: from soft purple lilac to luxurious deep red garden roses, you're bound to create an intriguing arrangement,” suggests Liza Roeser Atwood of FiftyFlowers.com. 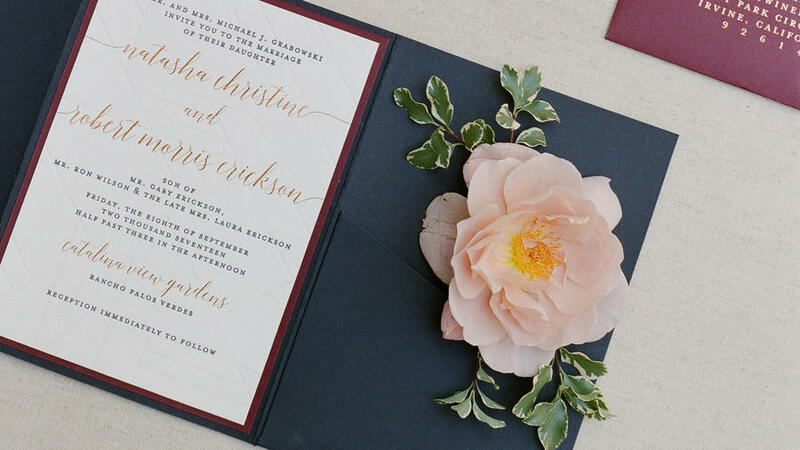 "Rich jewel tones, copper foil, and a geo pattern make this invitation suite elegant with a modern twist,” says Darla Vietti of Darla Marie Designs. 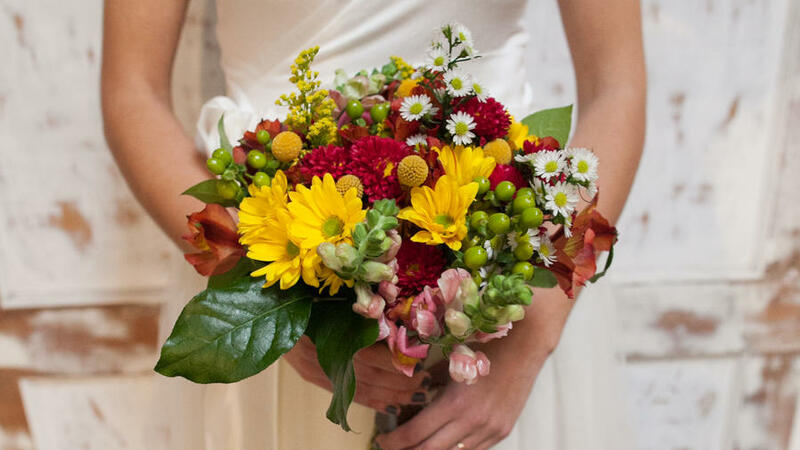 These colors are perfect for a fall celebration or a romantic vineyard wedding. 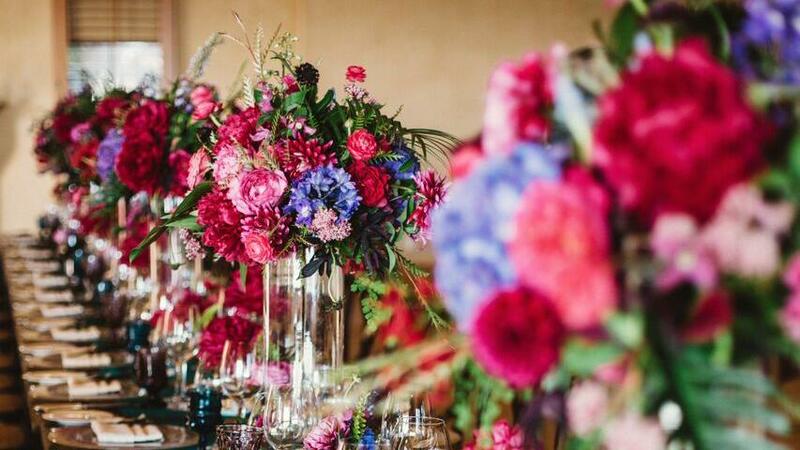 For this desert wedding, the bride and her planner played up the boho vibe by using texture. 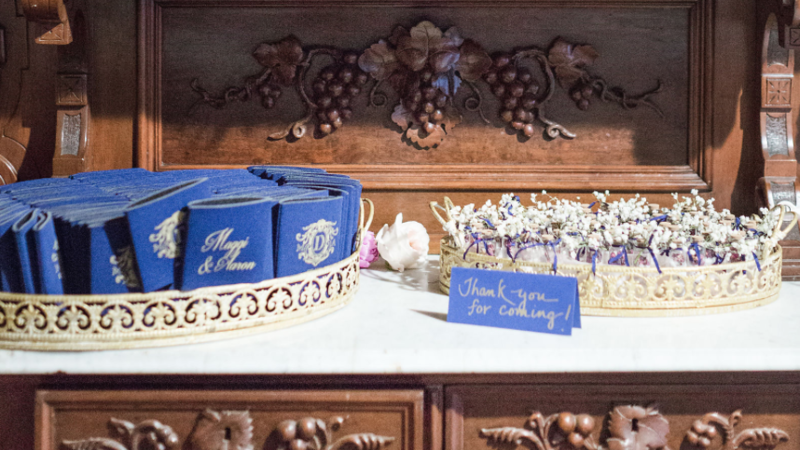 After choosing gorgeous patterned dresses for her bridesmaids, her planner explains, the rest just followed naturally. “It was playful yet sophisticated, on-trend and also very appropriate for the surroundings. 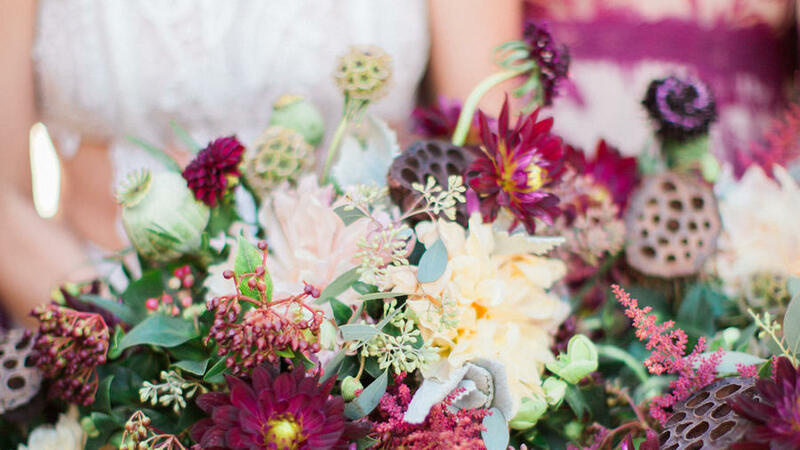 The bride loved blending large dahlias, in cream and burgundy, with pops of color and dried flowers hand-foraged from the desert nearby,” explains Jolene Greenbaum Peterson of Laurel & Rose.